Today Panasonic have released details of their latest DIGA DMR-BF200 recorder and HHD DVR player, that Panasonic claims is currently the worlds smallest. Measuring only 65×210×194mm and weighing 2.2kg the small player can be used in either portrait or landscape orientations. The new player will also support BD-R/RE discs but not BDXL or 3D discs. Is equipped with a 320GB HDD, a HDMI port, SD card slot allowing you to watch media directly from the card, Ethernet, and YouTube features. If you below to the Japanese Panasonic Club your will also be able to purchase a range of different stickers to customise the look of you player. 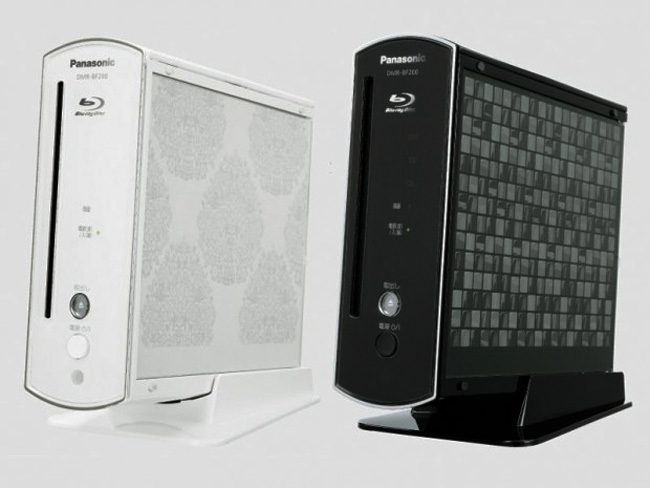 The Panasonic DMR-BF200 player will go on sale in Japan on November 15 for around $860. But unrotunately not details have been released on its worldwide availability or pricing as yet.